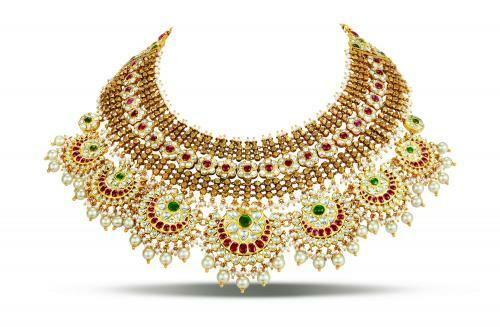 Make heads turn with this antique Kundan choker, adorned with pearls and rubies to help you steal the show. 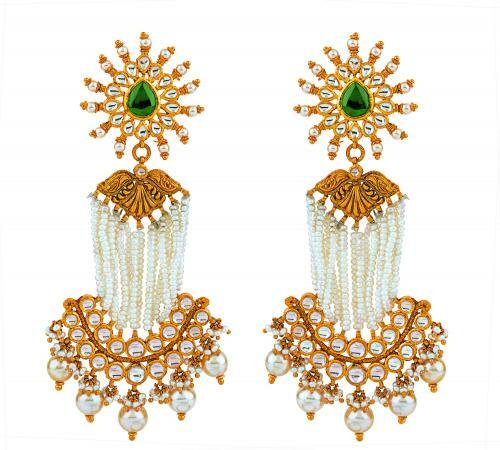 Dazzle any occasion with this pair of ornate Chandbali earrings, strung with an array of glittering pearls. 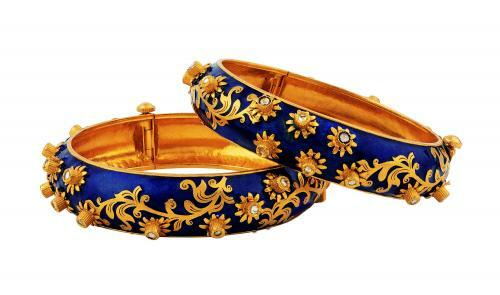 Be a vision of grace with these royal blue meenakari and Kundan kangans in gold adorning your wrists. 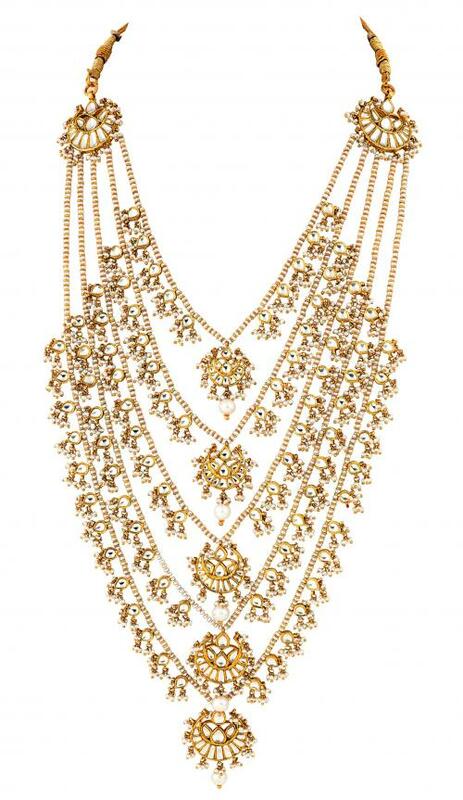 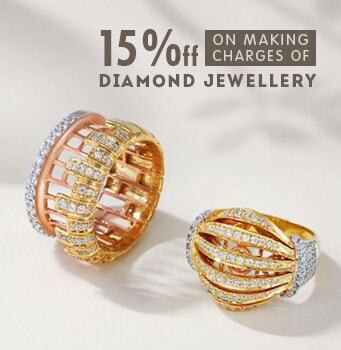 Be the epitome of elegance with a 5 Lehra Haar, adorned in a dazzling collection of rich Kundan and Pearl carvings. 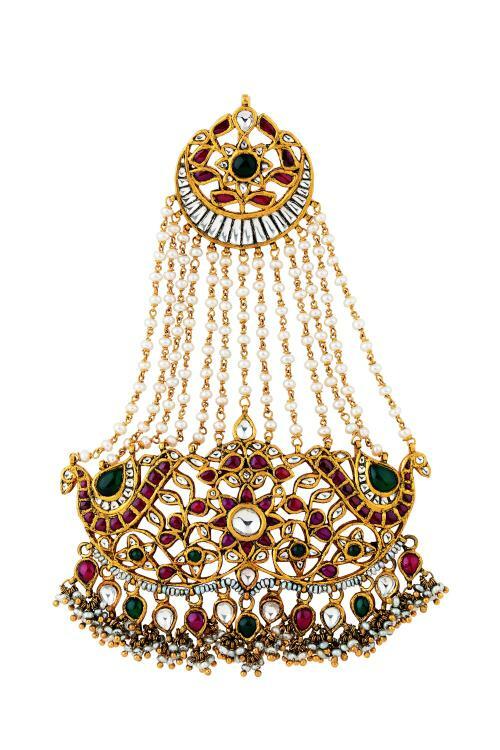 Add a touch of grandeur to any ensemble with this intricately designed & hand engraved Mughal era Passa.